Auto transmission repair can be a frustrating service to require. Because most auto repair shops don’t often put stock in on the ability to work with exotic or import vehicle transmission maintenance, we have stepped up to the plate and are here to work with your transmission service in Tempe AZ. Transmission repairs require a greater understanding of the finer points of mechanical engineering, and we have worked hard to achieve it. Many import vehicles can exhibit some very interesting transmission problems when compared to domestic vehicles. For example, American made cars are often built to handle heavier loads and stress, while import vehicles are often built with speed and weight considerations in mind. This can lead to more delicate and refined machinery being used, rather than the tough and hardy constructs that domestic vehicles tend to favor. The obvious repercussion of this is that your import vehicle may require more transmission maintenance than their domestic counterparts. 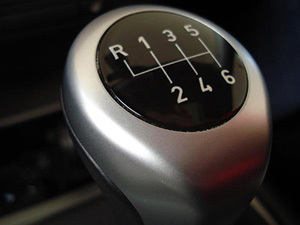 Beyond the fundamental differences between mechanical design features, it is important to remember that the automatic transmission is most often the component that requires the most amount of skill to repair. This is why transmission repairs are often anticipated with feelings of dread. In fact, the best way to keep the maintenance cost of your vehicle down to a minimum is to make sure that your transmission receives the maintenance it requires to keep operating for as long as possible without major repairs. Though it’s true that the internal parts will eventually wear down, there are ways to make sure that they last for a significant amount of time before repairs become necessary. When it comes to transmissions, Preventative maintenance is by far the best approach to keeping costs down and preserving your vehicles value. eventually, it will become necessary to service the internal components of the transmission, which can potentially be costly, but holding back that day for as long as possible will certainly help you get the most of your vehicle and enjoy maximum time between major services. Automatic transmission maintenance consists mainly of monitoring one very important aspect of your transmission, and that is the performance level of your transmission fluid. Here are a few of the most important things to keep in mind. Proper Fluid level - Maintaining the proper level of transmission fluid is outwardly the most important thing you can do for your transmission health. If there is to little fluid, friction takes over and causes excessive heat to break down the mechanical workings of your transmission prematurely. Interestingly enough, too much fluid actually has the same effect because the fluid can tend to froth up and provide little to no lubrication. Transmission leaks - Transmission leaks are usually easy to spot because of the color of the transmission fluid. If you spot a red fluid leaking from your vehicle, it is extremely important to stop this leak as quickly as possible. We suggest checking your transmission fluid level yourself before driving it in to the shop, because even a short trip with insufficient fluid can have catastrophic consequences on your transmission. Age of transmission fluid - the knowledge that your transmission fluid acts as the lubricant between gears is very important. As time progresses, it is unavoidable that your transmission gears will impact and tear off tiny metal shavings. These metal shavings are circulated through the transmission before finally settling down to the bottom of the fluid reservoir. Another thing to watch out for here is the fact that transmission fluid can become contaminated with dirt over time. Fluid which has become laden with dirt and metal particles has very little usefulness as a lubricant and should either be flushed out, or drained and replaced periodically to ensure its proper function. Overall performance - the best indication that your transmission is in need of maintenance most often comes from the experience of driving the vehicle. It is important to constantly monitor the performance of your transmission and keep a sharp eye out for behavior like grinding, whining or that dreaded Crunch noise. If you are experiencing any of these classic signals of transmission trouble, we suggest that you bring in your vehicle as quickly as possible. When these issues are addressed quickly, it often lowers the cost of the repair significantly. 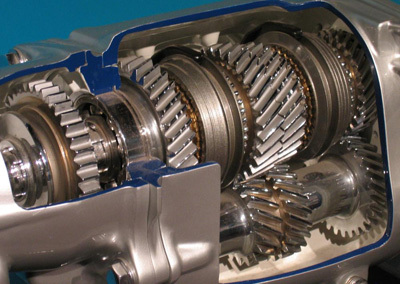 Let us help you keep your transmission healthy for the road ahead. Our technicians specialize in keeping your transmission alive for as long as possible, and can help you avoid the high costs of major transmission services. Feel free to give us a call if you have any questions or concerns about your transmission, our staff is friendly, professional and is here to help you in any way possible.